The LTE153-6000 is designed to deliver optimum performance over long-haul fiber with low dispersion. It is the ideal solution whenever the network requires long distance transmissions that support RF applications from 45 to 1003 MHz up to 150 km. The LTE153-6000 provides a low chirp mode of operation with a very narrow spectrum. This allows the use of any 1550 nm DWDM wavelength for the transmission of broadband CATV, while maintaining excellent CNR, CSO, and CTB performance throughout the network. 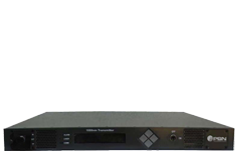 The LTE153-6000 is packaged in a compact 19” sub-rack housing of 1RU, with dual redundant and hot-swappable power-supply modules. The transmitter features adjustable dispersion compensation to maximize performance for the channel plan in use. Field-adjustable Stimulated Brillouin Scattering (SBS) suppression for optimized CSO to suit 13~19 dBm fiber line drive levels. SBS Suppression (dBm) 16.0 16.0 16.0 16.0 16.0 Min. CNR (dB) 53.0 / 53.0 53.0 / 53.0 50.0 / 50.0 50.0 / 50.0 53.0 / 53.0 Min. CSO (dBc) -65 / -65 -65 / -65 -65 / -65 -65 / -65 -65 / -65 Max. Note: Specifications for the 2 x 10 dBm units, CSO port 2 degraded by 1 dB for Channel Loads 1 and 2, CSO port 2 degraded by 2 dB for Channel Loads 3 and 4. Channel load 1-2 = 80NTSC–60PAL. Channel load 3-4 = 110NTSC and 89PAL. Note: Transmitters operating on ITU grid have increased delivery time up to 4-6 weeks. 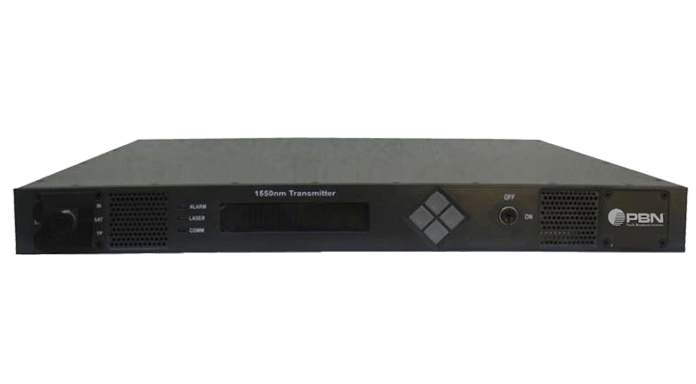 LTE153-6000-SA-1013-EU Laser transmitter, in stand-alone 19” sub rack, 1 RU, externally modulated, 1550 nm ± 5 nm, 2 x 7 dBm outputs with SC/APC connectors. Dual redundant universal mains AC power supplies. Integrated SNMP. Power Cable for Europe (not for use in UK or CH).